All summer long there are quilters from around the world participating in the quilt along– and helping share hints and tips for each quilt block! I’m so excited to be one of the gals doing the humerus quilt block (coming in July). It’s the one that is the scallop block! *Or you could skip all that and just order the complete quilt kit here. What’s fun about this is there are a few new techniques you can give a try. There is machine applique – using the button hole stitch and also fusible applique. Some might even choose raw edge applique. 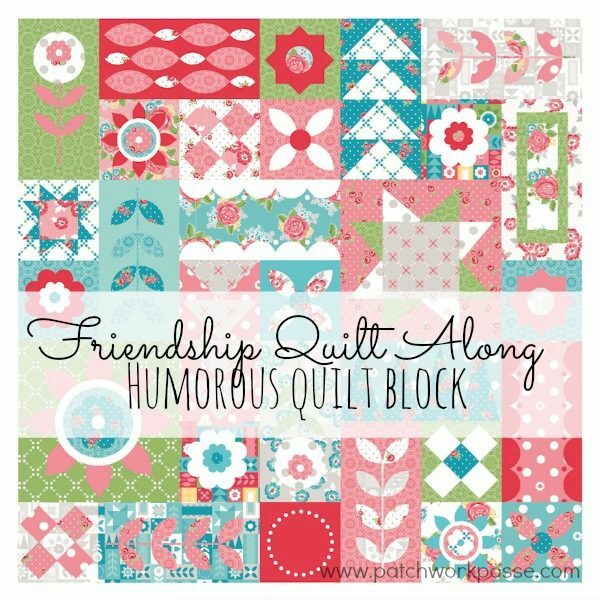 Today I get to share the quilt block HUMOROUS. It’s a fairly simple quilt block- depending on what method you use to make it. I have done a couple of ways. I chose to give my hand at needle turn applique as well as raw edge applique. I’m so not the best at the needle turn, but I’ve done it a few times before and thought – why not? This process is a bit more tricky. 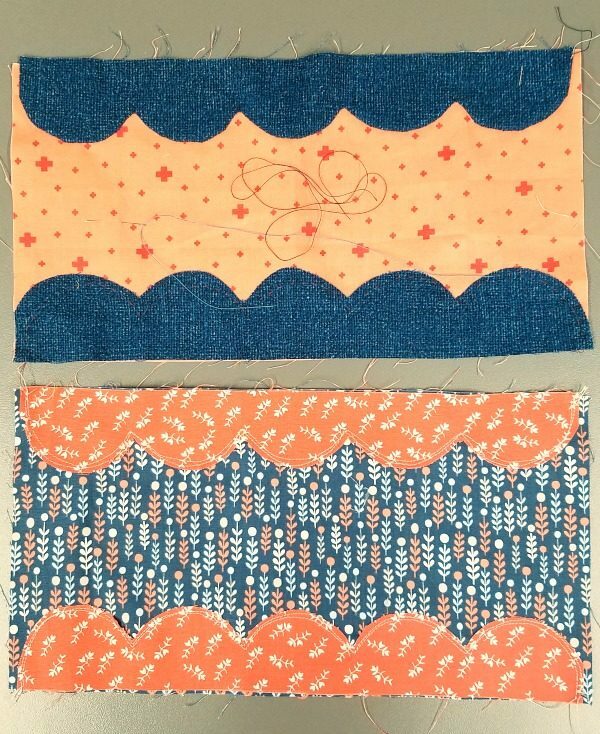 You can check out this post for how to needle turn applique – it has a video tutorial too! 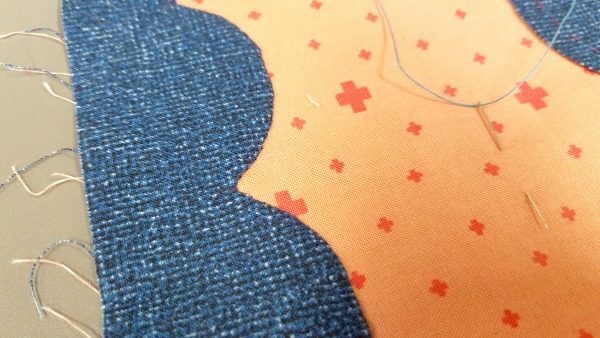 The quick process – you’ll be turning under the raw edge and then stitching it down (hidden stitches). Leaves a smooth finished edge. I’m also not quite done with one side…so I have a little more hand stitching to do still. 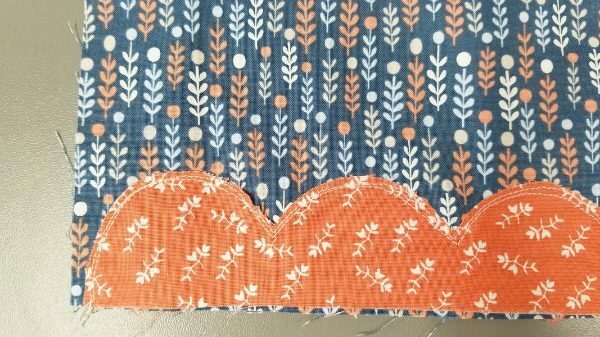 Full tutorial on raw edge applique here + video! The quick process: cut out fabric, glue in a few spots to secure. Machine sew around the outside edge 1/4-1/8″. I repeat this twice. * Try not to get too close to the edge as it will fray with washing and cause some issues. Also, I’m not really worried about it looking perfect and following the shape exact. Are you sewing along? Share your blocks!